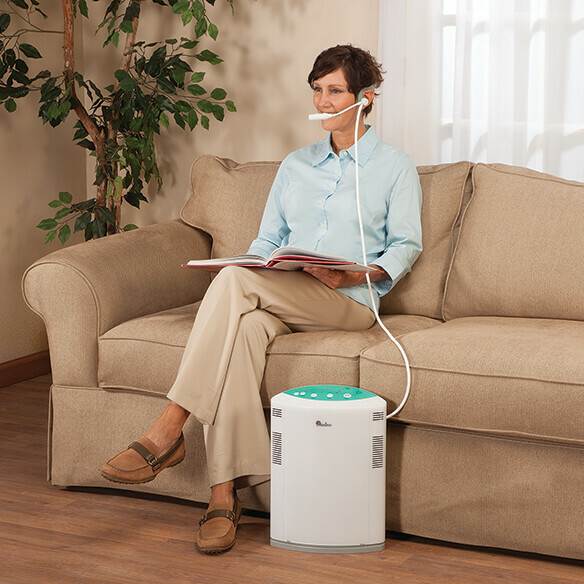 Rejuvenate at home with your own oxygen bar — no spa appointment required! The Tranquil Sounds Personal Oxygen Bar helps you relax and renew focus with a gentle stream of airflow combined with audio mood enhancement technology. Silent compressor plugs into an AC outlet to draw in ambient air and filter out dust particles and other impurities, increasing the concentration of oxygen in the air you breathe by up to 43%. Simply get comfortable sitting or lying down, put on the headset, and calmly inhale the gentle stream of air flowing toward your mouth and nostrils as you escape from everyday stress. As your body's cells are replenished with fresh, clean oxygen, you may experience increased stamina, focus and overall well-being. Built-in speaker plays your choice of soothing nature sounds. Sounds include daytime brook, dripping water, whale calls and nighttime brook. Easy-to-use timer allows you to choose from 10, 20 or 30 minutes. 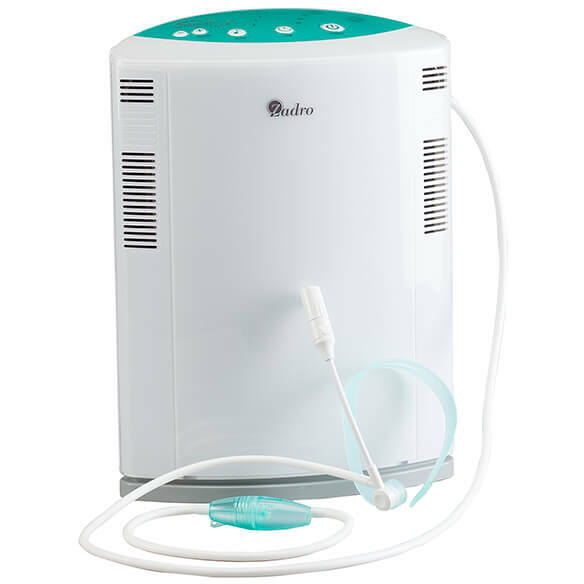 Home oxygen bar machine measures 11 1/2"L x 5 1/2"W x 15 3/4"H.
For recreational use only; not a replacement for medical oxygen tanks. I have cold and need oxygen during the day. The doctor would not give me oxygen.